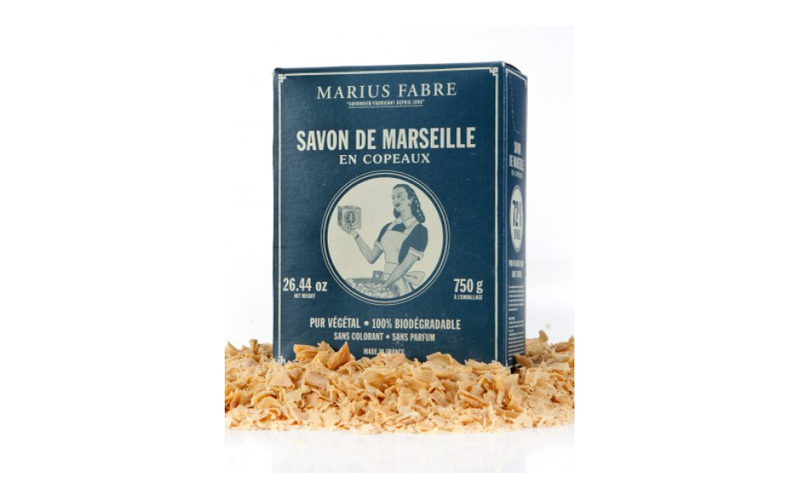 Marius Fabre Marseilles soap flakes are made from 100% vegetable oils and cooked in a cauldron to traditional Marseilles soap-making practices. They are guaranteed colouring-free, unscented and additive-free. We recommend them for an effective but gentle wash on all fabrics, especially delicates (baby clothes, woollens, silk, lace, etc.). 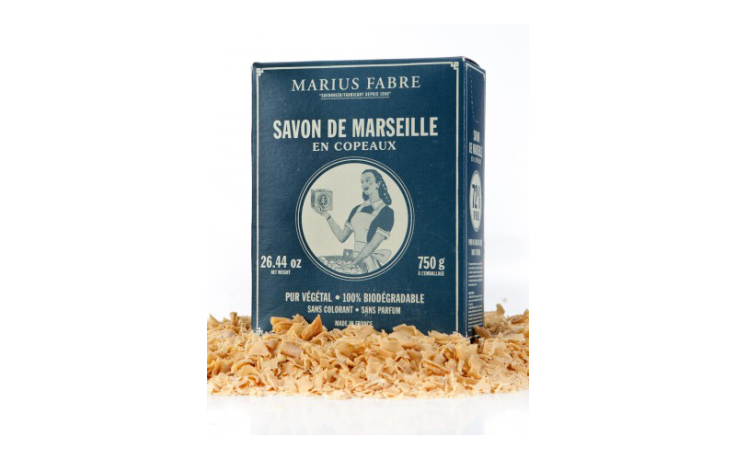 Our special family recipe ensures that Marius Fabre Marseilles soap flakes are properly dried and dehydrated. As they are biodegradable and phosphate-free, they do not pollute rivers and are safe for the environment. Dissolve 1 handful of soap flakes in 2 litres of hot water. Wash and then rinse thoroughly. (Use cold water for woollens). Dissolve 2 handfuls of soap flakes in 1 litre of very hot water (use a bottle or an old liquid detergent container). Shake well. Pour a cupful into the washing powder compartment of your washing machine. 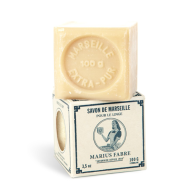 You can make your Marseilles soap washing liquid in advance so that it's ready when you need it. Simply shake well (until smooth) before use. If your water is hard, add a cupful of white vinegar in the fabric conditioner compartment at regular intervals. 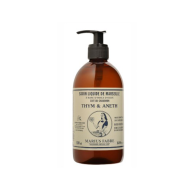 For a scented fragrance, add a few drops of essential oil to your washing liquid (e.g. lavender, tea-tree or citrus). For a whiter than white effect, add a tablespoon of bicarbonate of soda or a small handful of soda crystals.